Laurie, life, etc...: Nothing is Impossible for you. It's cold and flu season, at least for me it is, I always get sick at the beginning of summer, I actually feel it's an allergy rather than a cold. Don't get me wrong, its just a cold, I really don't mind ruling the world from my bed, but the not breathing properly freaks me out a bit. I decided to take a shower and steam for a good 30 minuets, did all the girly things, let my conditioner sit , exfoliated, your know girly stuff. When I got out to brush my teeth I looked at myself and I saw how sick I looked, I just shrugged it off saying to myself, it will be gone in a few days, but I said it as a fact, like I knew beyond a shadow of a doubt I wouldn't look like this in two days from now. How did I know? Try 39 years. I know how my body heals or how long it takes for me to get over a cold. And then it hit me, just the way I know I am going to get over this cold is the same way God is going to supply all my needs, protect me and my family, Heal me and guide me. We need to have that same confidence in our God and His love for us that surpasses all understanding. Knowing and trusting that he wants the best for us at all times, in every aspect of our lives, even the common cold. 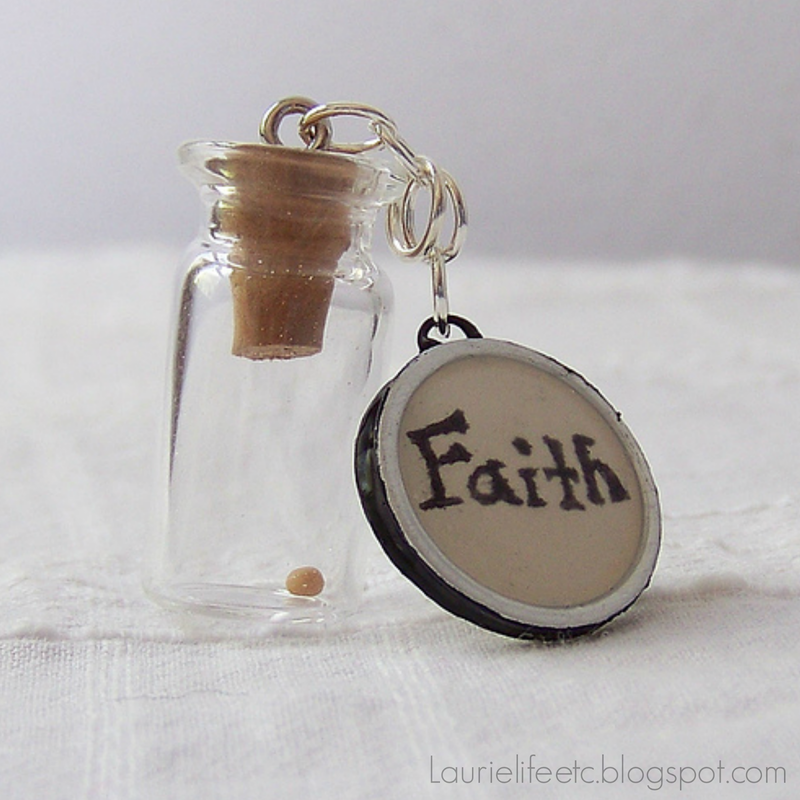 That's the faith of a mustard seed Jesus was talking about. Just a little goes a long way with God.